IN JUNE 2017 THE U.S. GOVERNMENT DOUBLED FUNDING FOR APPRENTICESHIP PROGRAMS. IN 2018, REORGANIZATION HAS BEGUN TO CONSOLIDATE PROGRAMS AND FUND NEW TRAINING OPPORTUNITIES. As we’ve previously discussed, contractors and developers have been struggling to find electricians and other skilled labor. Increasingly they are turning to hiring services to find these specialists, and are even offering lucrative bonuses to lure prospects thousands of miles away. Many experts in the trades and manufacturing industries have stated that an increased emphasis on apprenticeship and retraining opportunities is necessary to close this gap. An executive order signed in June 2017 doubled the amount of federal funding for apprenticeship programs. As of early 2017, the federal government dedicated about $100 million to funding apprenticeship programs through the Department of Labor’s ApprenticeshipUSA program. On June 15, 2017, an executive order was signed seeking to double the amount of federal funds for the program. Rather than relying strictly on federal intervention, the order directed the Department of Labor to collaborate with private companies to set up “earn and learn” programs, which would provide on-the-job training and other forms of compensation. These companies, as well as trade associations and unions would be allowed to propose industry-specific standards for these programs, which the Department of Labor would then take under consideration. The ultimate goal of the order was to make apprenticeship training more affordable and accessible, expanding the number of skilled tradespersons qualified for unfilled jobs. A second order signed in July 2018 is now expanding the collaboration between the government and businesses. Seeking to streamline the various government apprenticeship programs and increase the involvement of private enterprise, a second executive order was signed in July of 2018. The order created the Council for the American Worker, which will focus on consolidating federal programs, funding new training opportunities, and expanding apprenticeship and job retraining programs. 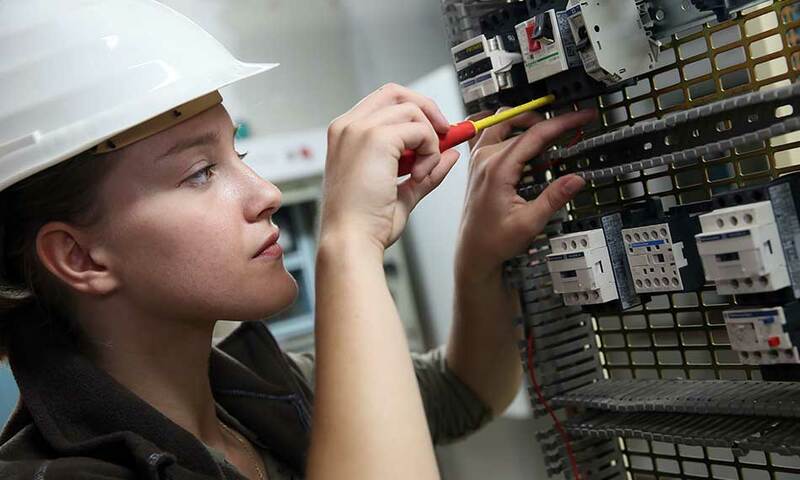 Alongside the commitment from the government, several companies and trade unions have announced their commitment to fund nearly 4 million training slots for apprenticeship, continuing education, and retraining in a variety of programs over the next 5 years. While new funding for apprenticeships will become available, there are many such opportunities available now. Here at I-TAP, we understand firsthand the value provided by apprenticeship and retraining programs. We look forward to seeing the results of these efforts and hope to offer new financial opportunities to our future students in the years ahead. If you’re looking to enter the commercial electrical trade, we can help you find the funding you need to pay for your electrical education. To learn more, contact I-TAP today by calling (916) 332-3332, or send us a message using our contact form below.